Learn about the various projects that we, our volunteers, and our partners are involved with. Volunteer work parties enable FOMR to perform a wide variety of general maintenance at Malheur Refuge. 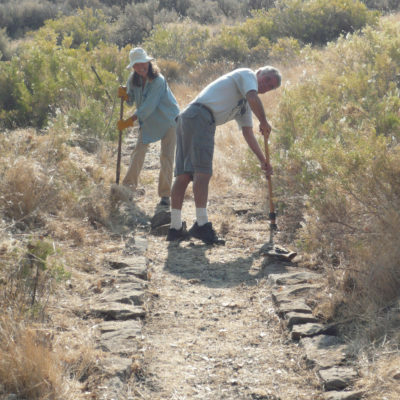 In the past, FOMR work parties (alongside volunteers from other organizations, including Audubon Society of Portland and Oregon Natural Desert Association) have also helped to maintain Refuge trails and kiosks, as well as remove unwanted fence posts and barbed wire from the Refuge. FOMR volunteers from as far away as Portland, Boise and Seattle have visited the Refuge to work on various projects. 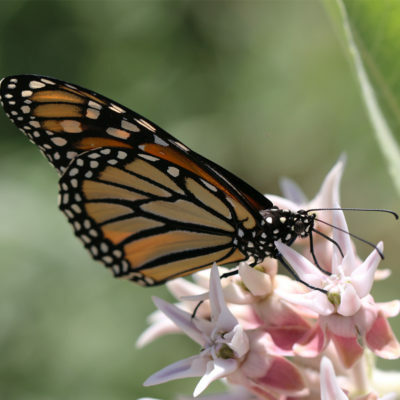 In Spring of 2016, following the Refuge occupation, a group of dedicated gardeners pulled weeds, dug up rocks, shoveled dirt, hauled soil enhancer and planted a pollinator garden near Marshall Pond. They also planted trees, installed a drip system, and put together benches along the Marshall Pond Trail, a wheelchair-accessible loop adjacent to the pond. Every year, Friends of Malheur Refuge sponsors a Highway 205 litter clean-up on the five miles adjacent to the south end of Malheur Refuge just north of Frenchglen. 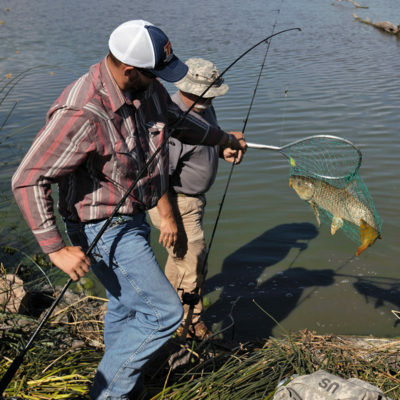 In August FOMR and Refuge staff host the annual Carp Fishing Derby at Malheur Headquarters. This event, which began in 2010 and has been held nearly every year since, serves to kick off a week-long carp fishing season at the Refuge. It’s an opportunity for visitors to come to the refuge and participate in a good-natured fishing competition, as well as learn more about common carp and the management issues they pose to Refuge staff. 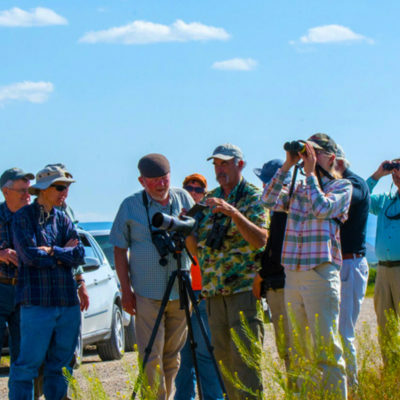 Representing Malheur National Wildlife Refuge, FOMR organizes and leads birding tours for the annual Harney County Migratory Bird Festival. Tours range throughout Harney Basin but often revolve around Malheur Refuge. For several years, an internship managed jointly by Malheur Field Station and FOMR sponsored students for the benefit of the Refuge each summer. Interns assisted Refuge staff with bird surveys and banding projects, aquatic vegetation surveys, invertebrate inventories, and much else. FOMR is looking to expand its internship program in the near future—stay tuned for updates. 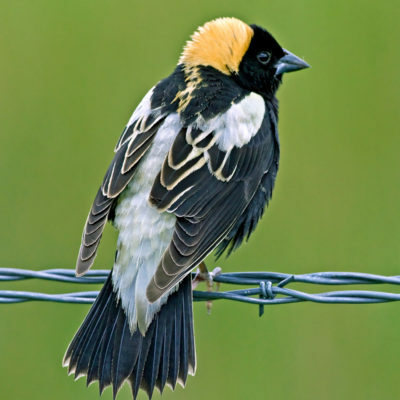 Every June, in cooperation with Malheur National Wildlife Refuge staff, FOMR volunteers and field biologists from the Portland Audubon Society survey for bobolinks on the Refuge. Closely related to blackbirds, bobolinks are a handsome wetland-dependent species; Malheur Refuge hosts the largest breeding population in the western U.S.
Several trails at Malheur Refuge have been adopted by FOMR to ensure they are regularly maintained. Volunteer work parties are assembled to clear brush and debris, replace trail markers, and perform other general upkeep. For a list of trails at Malheur Refuge, download the Hiking Trail Map. In Spring 2018, FOMR and Malheur Refuge sponsored an Artist-in-Residence program developed through Bend Art Center. 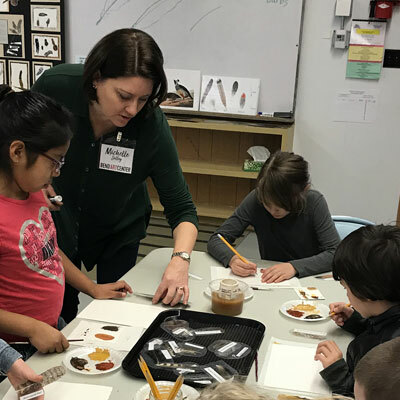 Artist Michelle Solley and Wildlife Refuge Specialist Carey Goss spent eight days traveling to schools in Burns, Diamond, Frenchglen, Crane, Drewsey, Riley, Double O, and Fields. The program combined history, art and science and served almost 600 students in grades K-8. 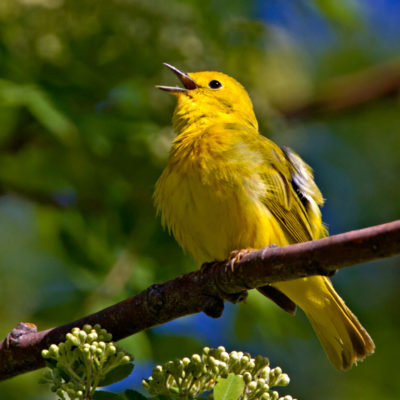 Students’ art was featured at the annual Harney County Migratory Bird Festival, along with artwork from Hines Middle School, Burns High School, Crane Union High School, homeschoolers, and other youth groups. 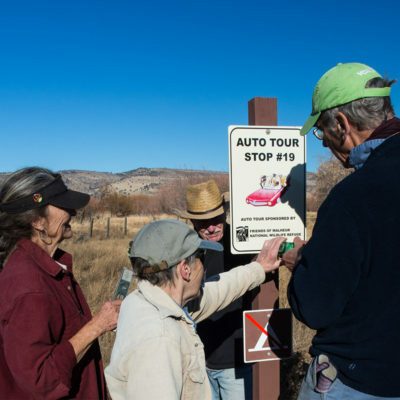 In 2005, FOMR wrote the brochure and procured the original signs for Malheur’s Auto Tour Route, a 42-mile self-guided tour along the Refuge’s Center Patrol Road. Nineteen stops mark the way and are interpreted in a script available at Refuge Headquarters or online. The script touches on the natural and cultural history and geology of the area, provides information about the plant and animal life found on the Refuge, and highlights current Refuge management priorities. In October 2017, ten volunteers equipped with shovels, tampers, bars, levels, drills, buckets of gravel and paint brushes helped to replace the old, faded signs with new ones. Under the direction of FOMR Vice President Alice Elshoff, they removed all 38 of the old signs, replanted or replaced the posts, stained them and attached the new signs, which feature FOMR’s current logo alongside an illustration of pelicans with binoculars, people-watching from a red convertible. 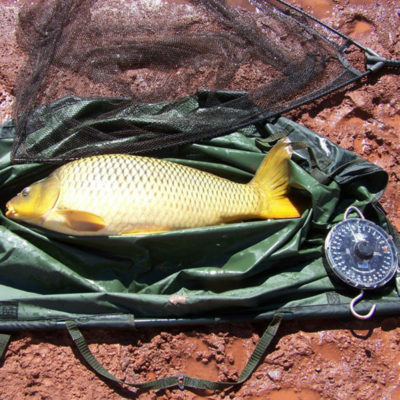 In May 2014, FOMR volunteers assisted in tagging, measuring, and recapturing carp for a research project at Malheur Lake. 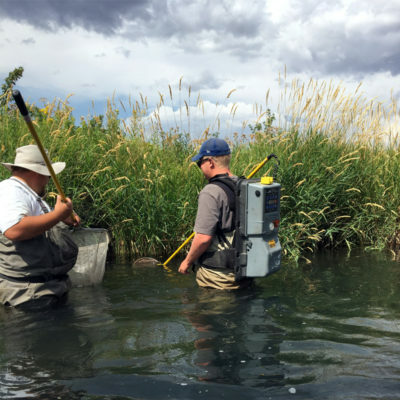 For the project, Malheur NWR and FOMR partnered with several other organizations to mark/recapture 10,000 carp to collect age/length data to determine carp population estimates in the lake, and whether commercial fishing is a viable carp control strategy. Common carp, an invasive species, threatens the aquatic health of waterways in Harney Basin by impacting aquatic vegetation, which migrating waterfowl depend on for food and shelter. A fast-learning, hard-working crew of volunteers from the Central Oregon Flyfishers (COF), organized by Jen Bock, ODFW-STEP Biologist, and Gene McMullen of the COF, planted hundreds of willow, dogwood and elderberry cuttings raised in the Friends of MNWR clone bed along two miles of the Blitzen River. The goals are to restore native riparian vegetation to one of southeast Oregon’s treasured redband trout streams and provide high quality woody and herbaceous shrubs to benefit numerous wildlife species. 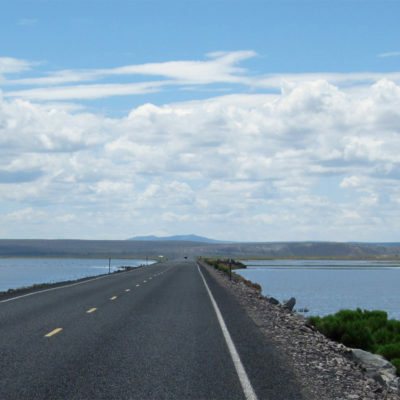 ​FOMR was the catalyst in bringing together Refuge staff, the Oregon Department of Transportation, County Transportation Commission, Harney County Court, and the Harney County Chamber of Commerce to secure safe off-road parking at The Narrows for wildlife viewing. 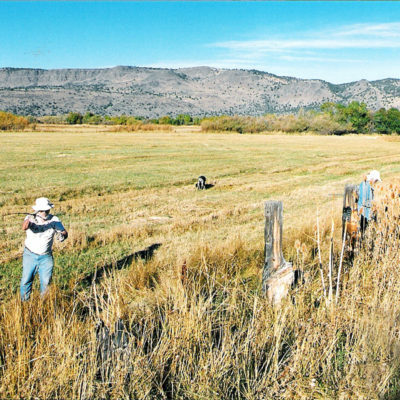 This project was made possible by donations of time, equipment, and dollars from the above participants as well as dedicated funds from the Harney County Migratory Bird Festival. The new parking area was completed in October 2003, and interpretative panels were installed in spring 2007. 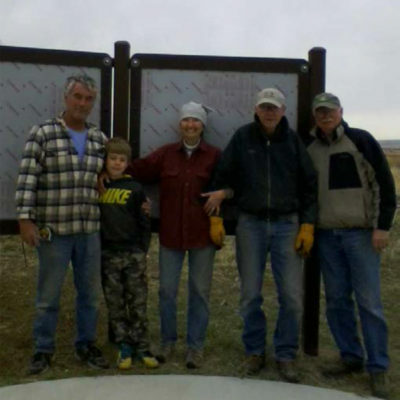 In Spring 2015, FOMR volunteers and Board members planned, constructed and put in a three-part information kiosk at Frenchglen, near the southern boundary of the Refuge.